Have You Been Charged With A Robbery In New York? Nassau County Takes Robbery Offenses Seriously! FIGHT YOUR ROBBERY CHARGE WITH AN EXPERIENCED NASSAU COUNTY CRIMINAL DEFENSE LAWYER! DO NOT PLEAD GUILTY TO A ROBBERY OFFENSE IN NEW YORK! It cannot be disputed; New York is notoriously tough on crime. Because of this, any criminal charges can be detrimental. Being charged with a robbery offense in New York State can be overwhelming. If you or a loved one are facing robbery charges in New York State, it is imperative that you understand what is at stake if you are convicted of or plead guilty to these charges. If you are convicted of or plead guilty to a robbery charge in New York State, you will become a felon. That is right. All forms of robbery are considered violent felonies in New York State. Because of the serious consequences associated with violent felonies, it is essential to fight a conviction. Below, the professionals at The Law Offices of Michael H. Ricca P.C.  help to define robbery charges in New York State, as well as the potential consequences of being convicted of such a crime. If you have been charged with a robbery offense in New York, contact The Law Offices of Michael H. Ricca P.C. today.  The New York State Penal Law is the collection of laws that defines criminal offenses and their classification within the State. As such, New York State Penal Law, Part 3, Title J, Article 160 defines what New York State recognizes as a crime in regards to robbery offenses. The first section of Article 160, defines several important elements related to robbery. To start, this section defines robbery as “forcible stealing”. It is important to note that robbery differs from larceny under New York laws. According to New York State Penal Law 155.05, larceny is a crime that occurs when an individual steals property with the intent of depriving the rightful owner of such property. By comparison, robbery occurs when an individual committing larceny uses or threatens to use physical force in order to obtain the stolen property. Robbery is also committed when the threat or use of physical force causes the owner or another individual to deliver the property or engage in the obtainment of the property against their will. Robbery in the Third Degree is the least serious type of robbery offense you can be charged with. However, as with many “degree” classifications, this means the criteria used to convict an individual is looser. According to Penal Law 160.05, Robbery in the Third Degree occurs when an individual uses force to steal property. As the least serious form of robbery, being convicted of this crime means you are found guilty of a Class D Violent Felony. Examples of crimes that fall into this category include threatening to hurt someone if they refuse to hand over their wallet, punching someone for their purse, or jumping someone for their shoes. The property that has been stolen is a motor vehicle, as defined by Section 125 of the New York State Vehicle and Traffic Law. Under the law, Robbery in the Second Degree is a Class C Violent Felony. Examples of offenses that may result in a Robbery in the Second Degree conviction include stealing a car, knocking out a guard as you flee the scene of the theft, or flashing a realistic toy gun at someone while demanding they hand over their wallet. Any participant displays what appears to be a firearm that may produce death or serious injuries if discharged. It is important to note that this law mandates that the firearm must be loaded and operable for a Robbery in the First Degree conviction. If the firearm does not meet those criteria, you can still be convicted of a Robbery in the Second Degree offense. Robbery in the First Degree is considered a Class B Violent Felony in New York State. Examples of this offense include shooting an individual while stealing their possessions, causing a traumatic brain injury to the victim of the theft, or waving a knife towards a person while stealing their purse. 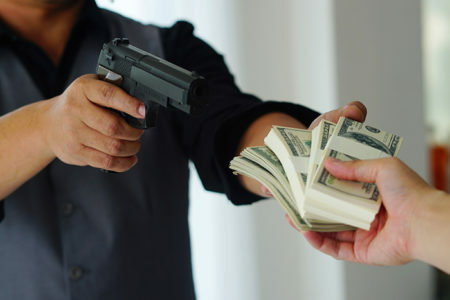 There are a number of consequences associated with robbery offenses. While there are the legal consequences that a conviction brings with it, there are other outcomes that often create lasting hardships for felons. Let us take a look. The legal consequences of a violent felony conviction are significant. It is important to remember that robbery crimes are considered violent. To help clarify the differences in potential jail time, the below table includes the minimums (Min) and maximums (Max) associated with both violent and non-violent felonies of the same classification. From the table above, you may note the difference in potential jail time. You may also like to know that Class D and Class C non-violent felonies have the possibility of serving no jail time at all. In addition to fines and jail time, however, there are other fees and financial consequences that comes with violent felony convictions. You may also be ordered to pay restitution to the owner of the stolen property. What could be worse than years spent in jail? While incarcerated, you have guidelines that affect how long you may be in jail. Whether you face a determinate sentence with a precise countdown or an indeterminate one with a range of durations, you know that there is a maximum amount of time you will spend in jail. What comes after, however, can last a lifetime. Being convicted of a felony can mean the loss of certain freedoms you enjoyed. This includes the right to vote, own firearms, and serve on a jury. It can also mean you are no longer able to receiver public assistance in the form of benefits and housing. Parental rights can also be significantly impeded if you are a convicted felon in New York State. Being convicted of a prior felony can also help to increase the classification severity of any future crimes as well. This means, if you are charged with a Class E felony, you may find yourself facing Class D charges instead depending on the type of crime. Job opportunities will also become more narrow. Any job that requires a background check will likely reject you outright. This includes government jobs, bank positions, management opportunities, and even positions that deal with cash transactions. In addition, your relationships can become extremely damaged. From friendships to familial relationships, a felony conviction can destroy bonds, bankrupt families, and cause others to view you in a different light. This can create intense emotional, mental, and physical barriers that forever change your life beyond the bars of a jail cell. There are several defenses an experienced criminal defense attorney may be able to use to help reduce your charges or have them dismissed entirely. Robbery charges require the use of force. While the burden is on the prosecution to prove that force was used, your defense can help negate their evidence. This includes disproving the testimony of key witnesses, filing motions that prevent unlawfully gathered evidence, and more. Defining force, arguing the difference between “physical injury” and “serious physical injury,” as well as what “appears” to be a firearm and whether you knew one was loaded or functional are also possible factors. When it comes to group crimes, whether you were a willing participant can also affect the outcome of your robbery charges. It is important to remember that every case is different. From the facts of the crime to the individual’s background and prosecution, each case has its own set of circumstances that must be dealt with. Having an experienced criminal defense lawyer on your side does not mean you will win your case. However, it does increase your odds of a favorable outcome significantly. In some cases, the favorable outcome may be achieved through skilled negotiations. This may mean agreeing to plead guilty to reduced charges for a more favorable outcome. However, your lawyer will never make this decision for you. A professional, experienced, and reputable criminal defense lawyer will work with you to determine what is in your best interest. While any lawyer strives to prevent or avoid a conviction, the facts of every case are different and may preclude the dismissal of charges. Being charged with any criminal offense in New York State can damage your reputation. This is especially true when it comes to stealing and violent crimes. However, being convicted of these charges can damage your entire life, present and future included. The Law Offices of Michael H. Ricca P.C. is here to help you. As the best criminal defense attorney in Nassau County, Michael H. Ricca strives to protect his clients from zealous prosecutions. While Mr. Ricca will never promise a specific outcome, he will do his best to prepare you for any potential outcomes while still protecting your rights as his client. Hiring reputable private counsel is the best choice you can make when faced with robbery charges in New York State. Unlike a public defender, The Law Offices of Michael H. Ricca P.C. only takes cases that fit into their caseload. This ensures your case receives the attention it deserves and your lawyer is as dedicated to your case as you are. This is essential to establishing a strong defense and, therefore, gives you the opportunity for a favorable outcome. The Law Offices of Michael H. Ricca P.C. offers free consultations with a professional defense attorney. So what are you waiting for? If you or a loved one have been charged with a robbery offense in New York State, contact The Law Offices of Michael H. Ricca P.C. today to learn more about how we can help and for your free consultation.